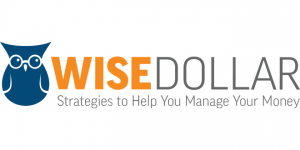 Home > Blogging > Welcome to the New Wise Dollar! Welcome everyone to the new Wise Dollar! For those who had been following Wise Dollar, it was started by Jose back in early 2013 and through a set of various circumstances found himself with little time to manage the blog. Having run a blog myself for almost two years now, I can attest to how time consuming managing a blog can be. That said, I suspected Jose was having problems with the time needed to manage the site and reached out to him as I didn’t want to see the good foundation he had started go away. Long story short, I’ve purchased the site from Jose and will be looking to continue what he started. 🙂 I plan to continue building much on what Jose had previously started here on the site. A little lifestyle to boot! Til next time everyone and thanks for following our journey! Congrats John and Laurie! What a nice surprise to find you here. I can’t even remember how I found this site. I think it may have been from Twitter. I’m adding this to my reader. I can’t take the chance of missing something from a couple of my favourite PF bloggers! Glad to see WD back online! Nice work sir putting it back together. I know it has taken some time, but I like the look and the logo. It’s nice that you and Laurie have another website where you can share your thoughts and awesome articles to other people John. Good luck! Congrats on the new site, John! It looks like you’ve really expanded your web presence the past year or so and I’m excited for where it takes you. As a full-time employee I can relate to Jose and others who struggle to find the time to manage a blog. If you don’t have a flexible day job schedule a blog can be a huge burden. I’ve been meaning to get around to tweaking and working on the design of my site for probably a year and a half now, but simply have had other priorities on the site. Congrats to Jose on the sale and you on the purchase! Thanks DC! That’s the hope and plan. 🙂 I can relate as well. If I didn’t have the flexibility of running my own business, I don’t know how I could do it. So, having a full-time job plus a blog…very difficult to balance in my opinion. Glad to see Wise Dollar again! Congrats on the site as well. One thing – I did notice that the social media icon widget to the left sort of overlaps the comments. It’s not too distracting, but I just thought I’d let you know 🙂 I’m on Firefox. Ha ha, glad to know my voice is one you know. 😉 Thanks though and I’m looking forward to seeing where we can take this, though I think I need to find those extra 2 hours in the day to keep it up and running. Congrats John and Laurie! I already followed your social media accounts, it’s been almost a year since Jose posted his last post on this website, congrats again guys! Thanks Clarisse! We’re looking forward to seeing it grow as well! Congrats on your new endeavor! I’ll be watching to see how it goes! Hey John, congrats on the new website!!! Also, I’m glad to see you’re keeping Laurie around on this one too, she’s definitely a great match for your style over on FrugalRules.com! Can’t wait to see what you do with this one! Thanks Josh! Yea, I’m pretty happy that I was able to talk Laurie in to joining me over here! Looking forward to seeing where we can take this. Congrats and looking forward to the new WD! Congrats on the site, I look forward to seeing what you do with the site. I’m already a fan of Laurie, so this should be great. Interesting someone can continue with this blog. I have a similar finance blog and it is contless the number of post you can make in this niche. It is so big and interesting. I did not know the “old” site, but I am psyched about the new one because you are Laurie are two of my favorite PF bloggers. Can’t wait to read what you have to share here! Congrats! Hi and congratulation for your new exiting venture!